In just two years, Taylor Momsen has gone from squeaky clean teen to full on modern goth. Since her onscreen debut as Jenny Humphreys in the popular show, Gossip Girl, she has slowly transformed her personal appearance to one of angsty black eyeliner, blood red lips and slashed up tanks. Her perky blonde haircut is now lank and long. Even though her appearance is dramatic and showy, we love her pouty, “stop looking at me” attitude. It’s so….1990. If you want to get “retro” like Taylor, we put together two looks to help you cop her style. Bags pictured provided by Bag Inc (of course!). Featuring our Esme Skulls Shopper. 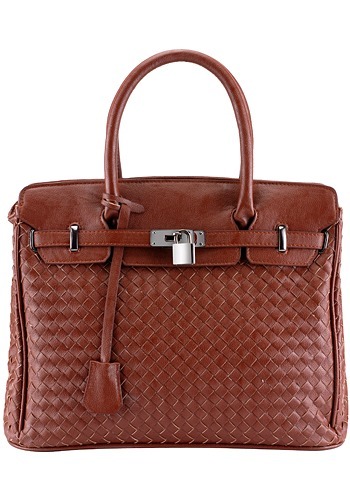 There is not one single bag more easily recognized than the HermÃ¨s Birkin bag. Since its creation in 1984, this ubiquitous bag has been seen dangling from the arm of every celebrity, socialite, singer, and trophy wife. 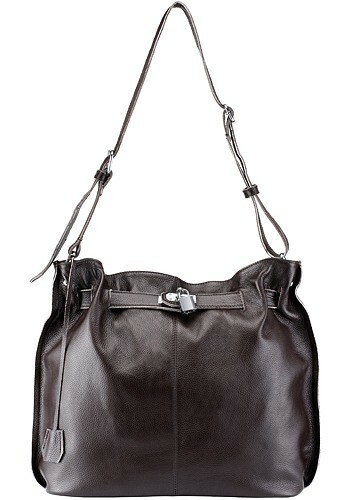 Where did this bag come from and why has it remained so popular for over 25 years? According to fashion legend, the designer for HermÃ¨s, Jean-Louis Dumas was seated next to one of the century’s most stylish women, Jane Birkin, on a flight from Paris to London. The contents of Birkin’s bag kept spilling out and she confessed to Dumas that it was impossible to find a proper leather weekender. 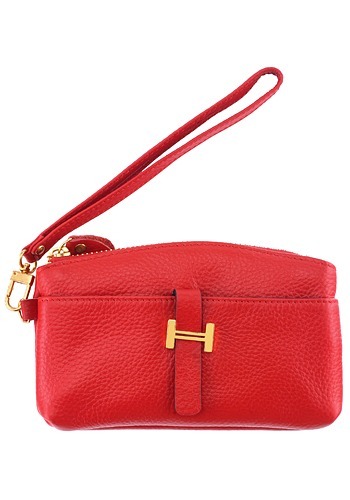 With that comment as inspiration, Dumas created the HermÃ¨s Birkin bag. 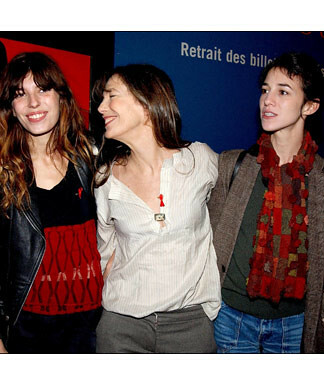 Jane Birkin hobnobbed in the best social circles in Paris and London, played muse to countless designers, directors and musicians, and mothered two of the most recognized present-day style muses in the world: Lou Doillon and Charlotte Gainsbourg. Her influence reached far and wide. It comes as no surprise that the inspiration from the most recognizable and covetable bags in the world originated from Jane Birkin. Maybe it’s the indelible impression left on us that the wearer of this handsome bag is wealthy, or famous, or somehow more worthy, that makes this bag so desirable. It transmits a message of sleek privilege and haughty social status. 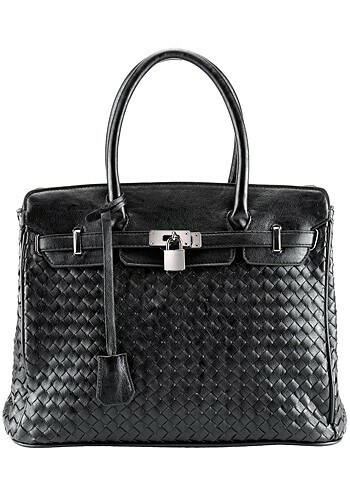 Just check out the brief celeb roster of Birkin fans (but there are literally hundreds more). 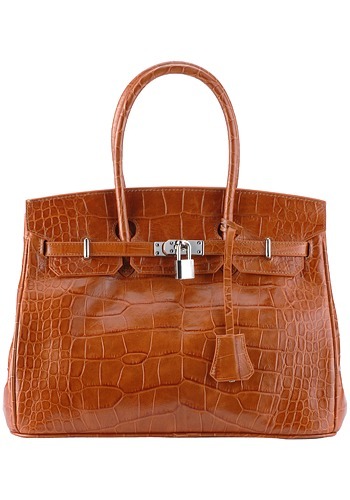 The Birkin bag used to have a 6-year wait list – the longest wait list of any item in history. In April of this year, Hermes did away with the wait-list. Even though the bag is more accessible, it’s still cost prohibitively expensive. 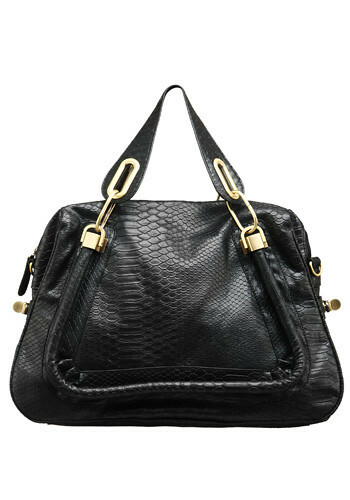 The bags range from $9,000-$15,000 and come in calf leather, ostrich, crocodile and lizard hides. The rarer the hide, the more expensive the bag. For the prices of a Hermes Birkin you could buy a brand new mid-size sedan, a semester at Harvard, or 100 pairs of Ugg boots. In our second Friday installment of “Bag of the Week” there seems to be one clear contender. 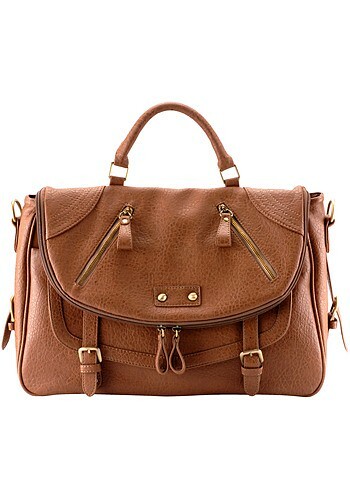 This bag is a new arrival, and it’s probably going to sell out quickly. We’re speaking, of course, of the The Vintage. Even though we already mentioned it as one of the many perfect accessories to use to capture the Schoolgirl Chic Look, it should be noted that this bag is more than just a flash-in-the-pan trend. Its graceful structure and supple leather qualify it for the category of “Timeless Classic.” Indeed, this bag is reminiscent of vintage Salvatore Ferragamo and leather Lanvin bags from the 60’s. Since the recent vintage revival in the fashion industry, there have been many vintage-inspired bags from top designers, but none beat the simple, gorgeous look of our bag. Coming in two shades, rich oxblood and matte black, this casual handbag looks best with business, casual, and vintage-themed outfits. It’s all too easy to picture this vintage classic shape on the arm of Peggy Olsen in Mad Men, or in the hands of Marianne Faithfull back in her hey-day. 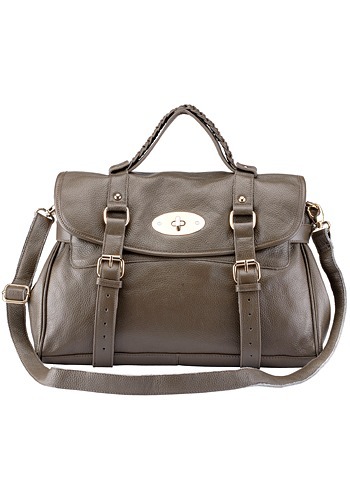 It’s hard not to covet a bag where every detail (luxurious leather, subtle silver hardware, vintage-inspired flap closure, etc.) 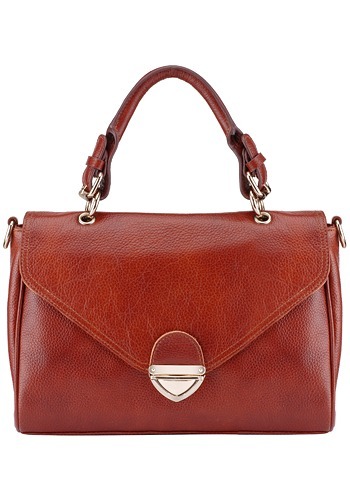 is so perfect – which is why this is our pick for Bag of the Week! After perusing the Victoria Secret Fashion Show After-Party pics online, we came to one stunning conclusion: Paris Hilton looks FABULOUS. We actually had to do a double-take when we saw the party picture. Was that really Paris Hilton?! Demure, classy, and, dare we say it, gorgeous. What’s happened to America’s favorite party gal? According to Radar Online Hilton has stopped her wild ways. She’s in a stable relationship, and she’s working on “giving back” through charitable organizations. She’s stable and happy, and she looks fantastic. If this is the path that Paris Hilton has chosen to take, maybe there’s hope for Lindsay Lohan after all? 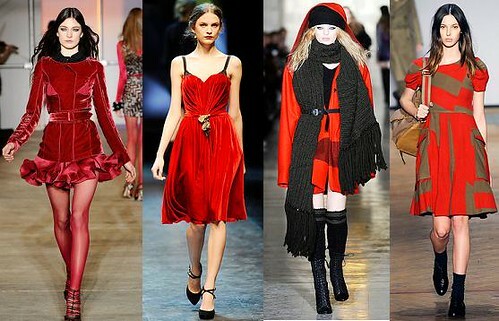 For a season that tends to embrace neutrals, thick textures, and layering, it comes as a bit of a surprise to see the Fall 2010 runways dripping with bright red. 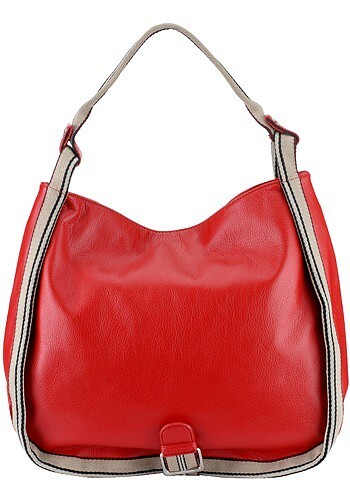 From red-all-over to punchy, red accessories, it’s clear that this trend is a winner. This bright shade perks up neutrals and helps to transport us out of our winter doldrums. 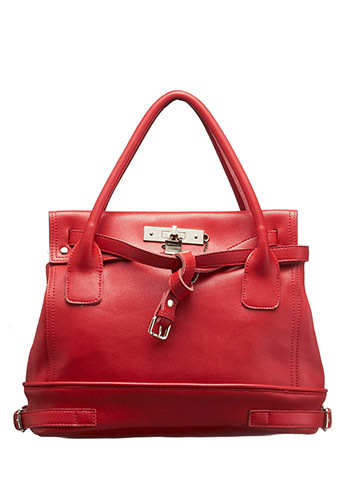 Celebrities are turning to red handbags to bring a pop of color to their outfits. 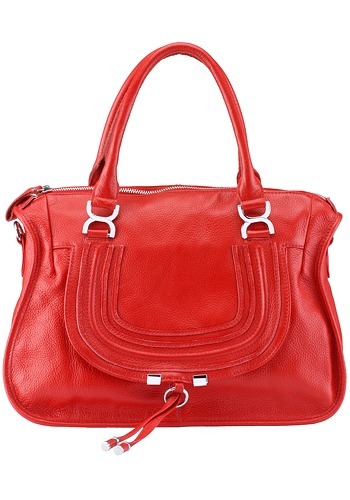 Just in time for fall, we stocked a great selection of bags in brilliant red hues. 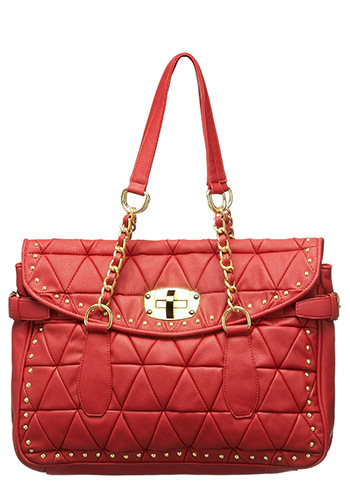 Browse our selection and pick out the perfect red bag to accessorize with for fall! 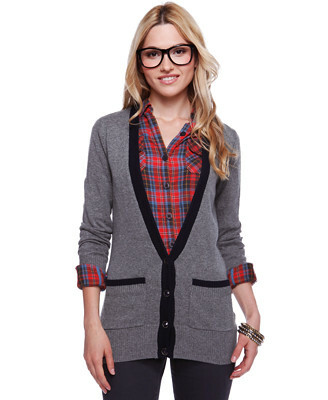 The schoolgirl look is in full swing for fall, and we’re loving the youthful, fresh look of this trend! The wonderful part about this look is that it’s simple to put together. There’s no reason to be extreme and go so far as to wear your hair in pigtails or find regulation Catholic school knee socks and plaid skirts. If you have a button-down oxford shirt, saddle shoes, and a great leather satchel, then you’re good to go! There are many ways to accessorize this trend. Leather satchels, messenger bags, and vintage-inspired handbags comprise three of our favorite purse accessory trends for fall. As you can see, they go perfectly with the schoolgirl trend.